This navy and gold watercolor invitation is perfect for a little boy's First Communion, Baptism or Dedication. 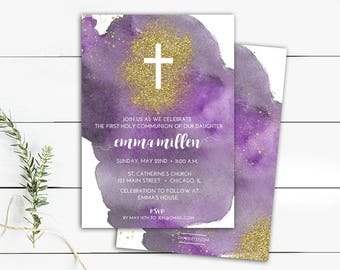 Printable Digital File: You will receive both pdf + jpeg files for you to print yourself from a home color printer/office supply store on heavy white card stock (use the pdf formatted with 2 invites/per page) or professionally (upload jpeg). 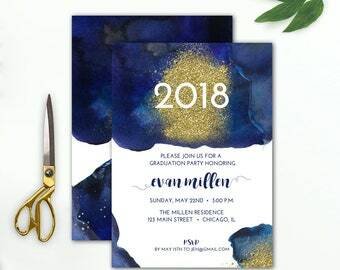 Printed Invitations (U.S. Only): Invitations are printed on the highest quality premium card stock with a standard coordinating backside and white envelopes. Next business day (U.S. only) shipping is included in pricing. A proof will be emailed to you. Once approved, please allow 2-3 business days to receive the invitations. 3. 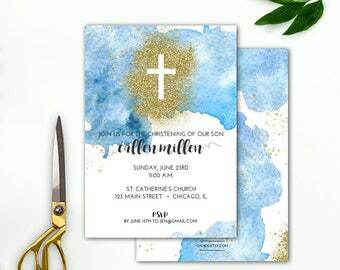 Files (or proofs for printed invites) will be emailed to your Etsy registered email address. * Printed envelope liners + return address wraps also available. 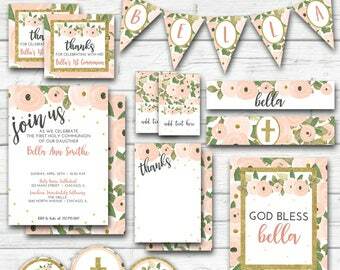 All designs are for personal use only and can not be copied or redistributed in any manner. Above and beyond what I expected! Still getting endless compliments on the invite!!!! Couldn’t be happier! If you are an IL resident purchasing either a printed item or a non-personalized item (instant download), you will automatically be assessed Cook County sales tax. Due to the nature of the product, no refunds are available. However, I aim for 100% satisfaction. If you are at all unhappy with your order, please let me know, and I'll do my best to make it right. Please note, colors can vary from screen to screen and from printer to printer, and will not be altered. Once proofs are approved, printed items can't be canceled or altered in anyway. However, if the item is in damaged due to shipping, please let me know and a replacement will be shipped out immediately. 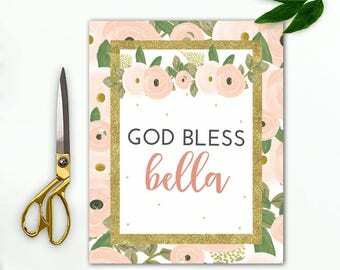 Personalized printables are delivered within 24 hours to your Etsy registered email address. (Please note, all pdf files are non-editable and are locked against editing of any kind. You will only have the ability to save and print on standard size paper). 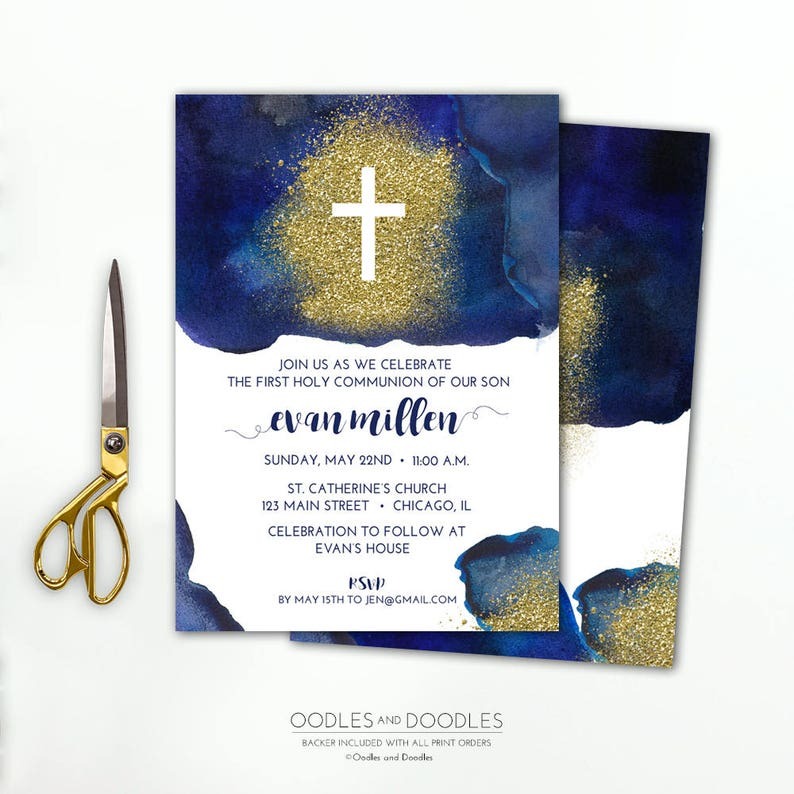 Invitations are printed and shipped from a professional lab. A printing proof will be emailed to your Etsy registered email address within 24 hours of all personalized details. Once approved, please allow 2-3 business days to receive your item(s). Posters are printed and shipped from a professional lab. All posters are mounted on thick matboard. A printing proof will be emailed to your Etsy registered email address within 24 hours of all personalized details. Once approved, please allow 3-4 business days to receive your item. Canvas Prints are printed & shipped from a specialty canvas printer. A printing proof will be emailed to your Etsy registered email address within 24 hours of all personalized details. Once approved, please allow 8-10 business days to receive your items. If you plan to print through VistaPrint, WHCC, Costco (or any other printing vendor that requires bleed and/or specific sizing other than a true 5x7 or 4x6), please let me know at the time of purchase. If not, an additional fee may apply to reconfigure the files after the fact. Please note, I do not provide bleed on any decorative items (like bunting flags, cupcake toppers, favor tags, etc). Files are set to print on standard sized paper, and pdf files are locked against editing and resizing of any kind. All digital items are emailed to etsy registered email addresses. If you have ordered one or two items, your digital product will most likely be sent to you as an email attachment. 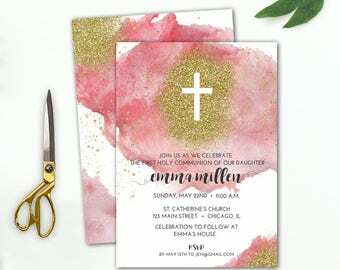 For all party packages, banners, and multiple product orders (where files are too large to be sent as email attachments), you will be emailed a link to download your items. Most of these items will be zipped. You will need Adobe Reader software (which is free) to open the pdfs. If you have any questions, please feel free to message me. While I love to work on custom orders, my schedule doesn't typically allow for it. I'm often able to create additional coordinating items or tweaks to current designs, but not completely new custom designs. Please note all items are for YOUR PERSONAL USE ONLY. When purchasing a product you agree to use the images for your personal use only. Commercial use is not allowed. This includes sharing, distributing, or selling the product in any manner. I do not provide photoshop, illustrator, or PNG files, and all PDF FILES ARE PASSWORD PROTECTED against editing of any kind. You will only have the ability to save and print. Designs are copyrighted and remain the property of OandD. They may not be copied in any manner. All rights reserved. 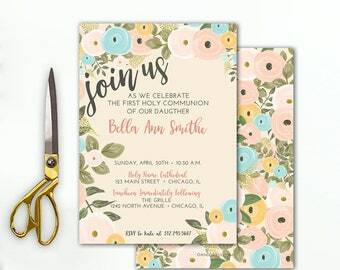 Most of the wording on invitations may be changed, and invitations are always available for any age or occasion. Color changes are often available for an additional fee. Please ask prior to purchase. 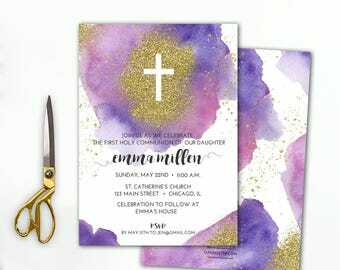 Professional printing is available within the U.S. for all cards (invitations, photo cards, stationery, etc), chalkboard posters, and canvas prints. Please select your quantity, dimensions, and paper type from the drop-down menu of the specific listing. All print orders include premium white envelopes and are produced by a professional printing partner. It's super easy! Once purchased, I will personalize the printable files with your details according to the listing description. Files will be emailed for you to print yourself. You can print from any color printer (home, office supply store, etc) as many times as desired. I recommend printing on heavy white card stock (at least 100 lb) or more. 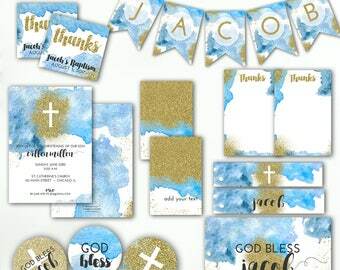 Full instructions + printing tips come with all party package orders. Please read listing descriptions carefully. If you are purchasing an instant download, you will receive a link via Etsy to download immediately. 1. The item will be sent exactly as shown in the listing. No personalization, size changes, color changes, etc. are available. No refunds will be given. 2. All files are for personal, one-time use and can not be sold or redistributed in any manner. Commercial use is prohibited in any form. 3. Files are locked and password-protected. They may not be manipulated or edited in any way (unless the listing is noted as an "editable" file). Please don't hesitate to ask. I'm happy to help!